Could the Channel Islands hold the key to unlock the Brexit puzzle? Trade expert Sam Lowe of the Centre for European Reform told EURACTIV that Jersey’s ‘strange relationship’ with the EU could be an acceptable ‘halfway house’. Sam Lowe talked to EURACTIV’s Benjamin Fox. David Davis has repeatedly said one of the main reasons for having a transition rather than an extension of Article 50 is to have an independent trade policy. Where is the Department of International Trade (DIT) with agreements with third countries? DIT’s entire resource at the moment is being dedicated to ensuring that once we’ve left we still benefit from the existing agreements. Essentially they are just trying to ensure that we stand still. There are about 700, right? Certainly 50+ trade agreements and then other treaties that facilitate trade, so different types of mutual recognition agreements with countries around the world and our WTO schedules, so at the moment that’s their focus, and it’s replacing agreements with Turkey, with whom we’re in a customs union, and Switzerland, with whom we have multiple bilateral agreements, the EEA/EFTA countries, and EU-originating free trade agreements with other countries such as Korea, South Africa, Mexico, Chile. The approach that the DIT was taking until a few weeks ago was that we were going to have all of these agreements in place by March 2019, because the issue with even a stand-still transition is that once we’ve left the EU we are no longer party to these agreements. To be honest this was never possible. If you remove all the criticisms of competence, there just wasn’t enough time to do this. 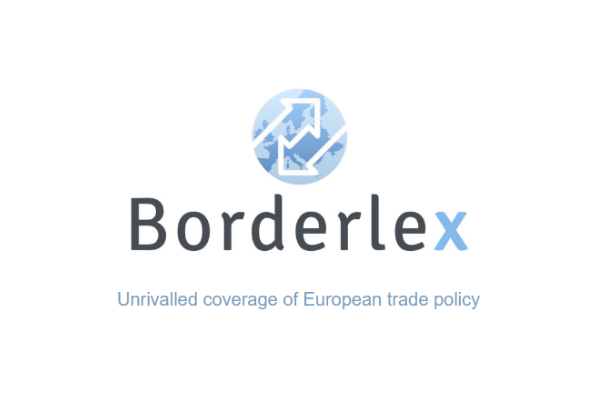 Let’s say DIT had three times as many trade experts, how long would it take to sort out and re-negotiate all of these agreements? I wouldn’t be able to estimate but I still don’t think there would not have been enough time. For one thing, these are negotiations with another party and this other party has its own priorities and capacity issues and procedures. Even if we were very competent and quick we can’t guarantee that they would be. The DIT has now changed its approach, it’s now going to ask the EU to help them essentially fudge the issue, to work together to talk to the third countries ask them if the UK can continue to be treated as an EU member for the purpose of these agreements throughout the transition. So nothing will have changed. But it still requires these governments consenting and there are some strange incentives floating about, in that exporters in, say, South Korea will still have access to the UK market on the same terms as now because during the transition we will be obliged to apply the EU’s external customs tariff and its checks at the border. So, essentially, the cliff-edge falls only on our side, whereby our exporters to Korea might hit a wall but the reverse won’t necessarily be true. Because we will no longer be party to the agreement. My feeling is that this will get resolved and that we will continue to remain part of these agreements throughout the transition, however, there is likely to be a price to pay for some of them. Some of these countries will demand concessions to come into effect before they accept, and I think they will ask for those concessions now because they are at the point of maximum leverage. Which countries are most likely to demand concessions? Korea is the interesting one. They are very tough negotiators and exports are almost a religion to them. They are not overly fond of the EU-Korea agreement because they feel that it has benefited the EU much more than them. If they have an opportunity to claw back concessions they made to the EU, I think they’ll take it. You also hear that countries such as South Africa have also put forward some demands as well. Some of the demands we’ll probably hear about will be on things like agriculture quotas, and it might be quite easy for the UK to give those. For example, South Africa will be worried about quotas for their orange-sellers. You’ve talked about Jersey as a possible ‘halfway house’ in terms of a future EU-UK trade arrangement. Could you elaborate on that? One of the suggestions we’ve put forward that might be palatable to the EU is drawn from Jersey’s strange relationship with the EU. Essentially it’s that we would remain in a customs union with the EU and also the single market on goods with the addition of the EU’s VAT area (which Jersey isn’t a member of). The reason we propose this is that it resolves the Irish border issue, in so far as there would not need to be any physical infrastructure at the Irish border. It also removes many of the visible impacts of Brexit, which would be appealing in the UK because you wouldn’t have trucks queuing up at Dover. 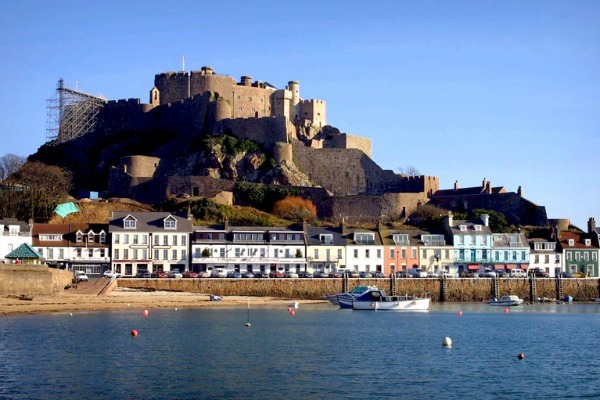 How would it work in terms of financial services because when I think of Jersey I think of a tax haven with some cows? Maybe it’s poorly named. So, on financial services, it would be treated the same as Jersey which is that you’re not in the single market on financial services and you dealt with via equivalence rulings like any third country. The overall agreement would treat financial services and services similar to the way they are treated in the EU-Canada free trade agreement. This could work for the EU because the UK will have much-reduced access on services. Essentially services would be treated like any other trade agreement. This isn’t an arrangement that is appealing to any other member state. but we would be free from EU regulation as regards services, we would be able to regulate services as we liked, and we would be also able to negotiate trade agreements covering all areas that are not covered by the customs unions – services, investment, data, intellectual property, potentially procurement, but it’s a half-way house. Nobody is as happy as they might be but it is potentially palatable on the EU side. It would obviously have to involve the UK rubbing out some of its ‘red lines’ because it would come with harmonisation of rules on goods. It wouldn’t come directly with the ECJ, but it would need some approximation similar to the EFTA court and mechanism overseeing that part of the agreement. And the big question is would it require freedom of movement, because what I’ve described isn’t that different from the Swiss arrangement plus a customs union in terms of levels of market access. The Swiss are required to have freedom of movement. There is a question whether a preferential migration scheme would go far enough. It’s a suggestion that might be able to fly, but also might not. There’s also the issue of how third country FTAs are dealt with. I think it would require a consultation mechanism in which the UK was consulted before the EU entered into new trade agreements, and then potentially discussions about negotiating them in parallel, but with the assumption that the UK would never have a veto. No, but there could be a mechanism where if both parties think it appropriate we trilateralise the process from the beginning or the EU asks third countries to enter negotiations with us at the same time. Just because of the size of our market I don’t think we’ll have the same problems as Turkey on this. But we would never be able to stop the EU from continuing. It’s a halfway house so there are compromises all over the place. Has the idea gained much traction? People are certainly aware of it. I’ve been asked about it by the UK Brexit select committee and discussed it there. It’s one of those things where people initially recoil but if you work it through it becomes quite logical. I guess it’s another way of getting round the ‘three baskets’ idea? It’s different in that this doesn’t have the middle component. We remained aligned in this entire sector of the economy. And you think it’s sellable? On the plus side in Brussels, it does solve the Irish border issue. But Jersey has to make payments to the EU? Payments would have to be part of it because we’d still be part of different agencies related to goods. If it was just proposed as a solution for Northern Ireland then I think it would fly instantly because the EU-27 will always be happy with the idea of Northern Ireland having a distinct relationship with the EU. The UK would never agree to that which is why it needs to be an entire UK proposal. If that was proposed I think the EU would have to think about it. There are lots of reasons why they might say no, but there’s lots that will appeal. I know that they are aware of it. But it’s not great. In my opinion, it’s still worse than EU membership, but it potentially provides a solution that is palatable to both parties and without falling foul of accusations of ‘cherry picking’.